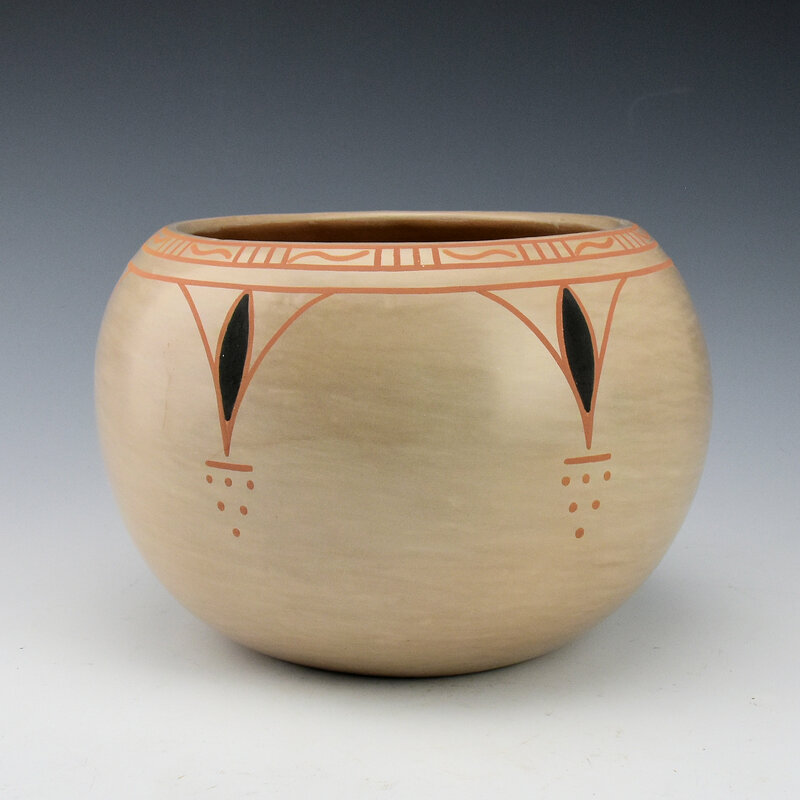 This is a striking large bowl by Blue Corn. The bowl is a very round shape and it is fully polished with the white clay. It is painted with a red clay for the designs. Around the rim are rain and cloud designs. 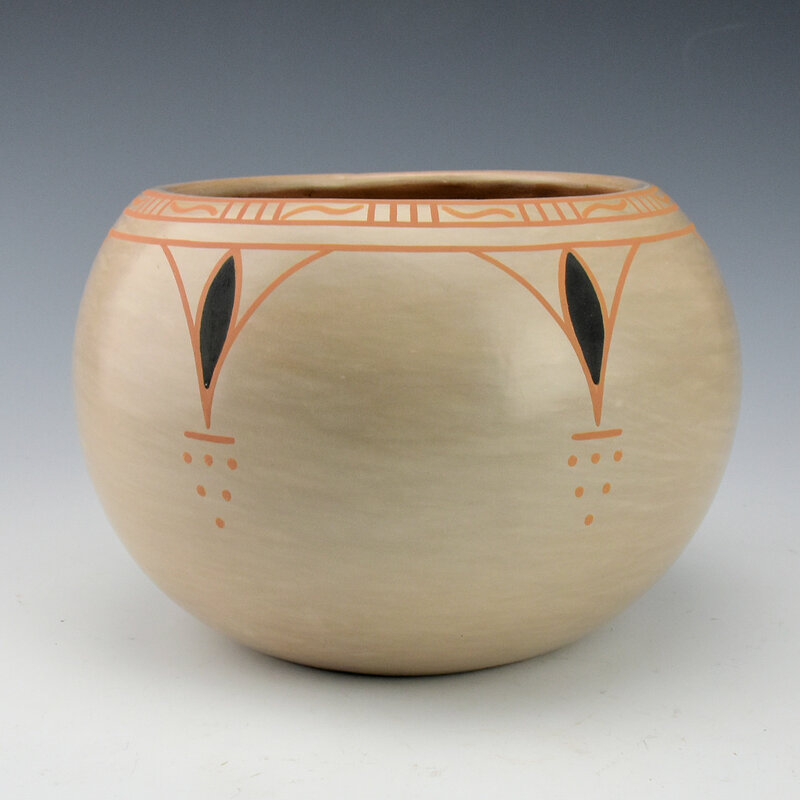 Around the side of the bowl are corn patterns which are highlighted with a black clay. However, the black clay has an almost-blusih tint in some light, which gives the piece a very striking appearance. 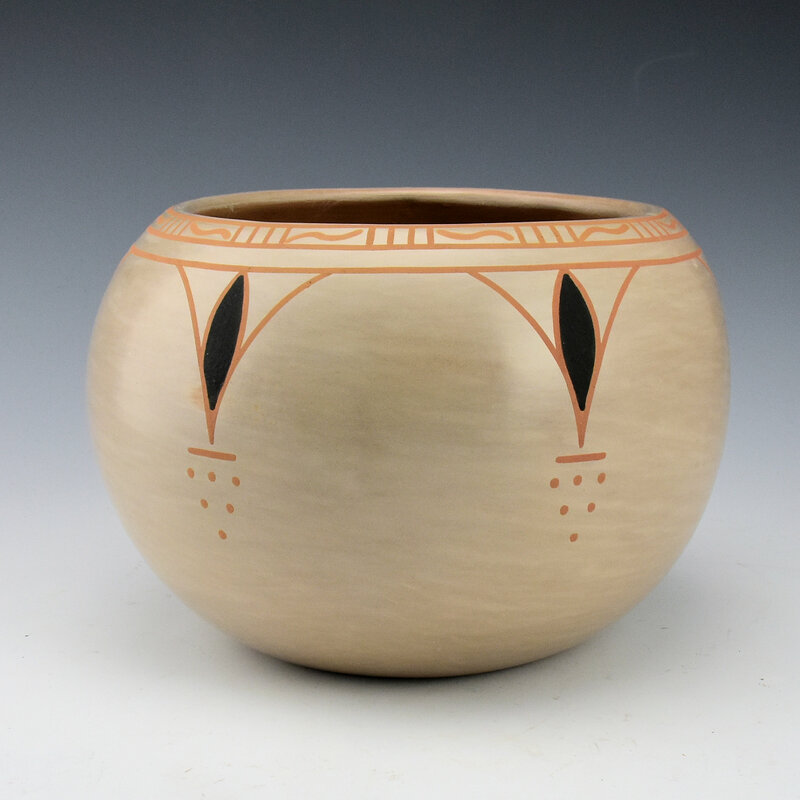 The bowl is signed on the bottom in the clay, “Blue Corn”. It is in excellent condition with no chips, cracks, restoration or repair. Certainly a classic by this important San Ildefonso potter.